The annual reading competition hosted by the Clare Valley Government School and sponsored by WEFM took place on Tuesday May 16th 2017. This as the school celebrates Literacy Week. The keenly contested competition was won by Jaylade Joyette, 2nd position went to Keilia Sam and 3rd spot was grabbed by April Richards. 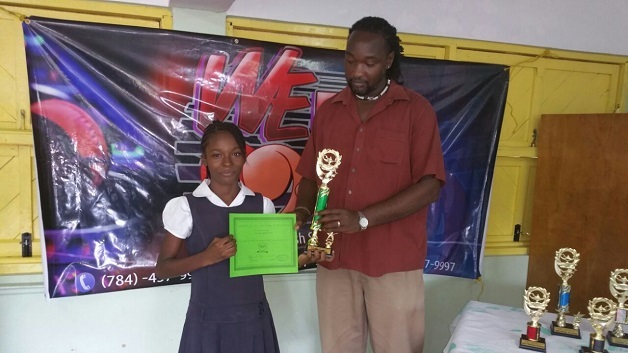 The lone male in the completion Akeem McMaster was adjudged the 4th position and Shefield Dublin took the 5th spot. The competition was held among Grade five students, at the school, on Tuesday May 16th, as part the school’s Literacy Week. Previous articleAir Canada flight from Jamaica diverted after passenger tries to open door.